Welcome to Day 4 of Pumpkin Week! We're a little more than halfway through Pumpkin Week, and I hope that you are enjoying all of the pumpkin recipes that I've shared with you so far! For today, I've chosen another unique recipe for you to try. If you like pumpkin, tres leches, and flan, then this is the perfect recipe for you to try. This dessert is beautiful and will make anyone you share it with feel special! This recipe is originally from Muy Bueno, a wonderful website and cookbook! The ladies of Muy Bueno share traditional as well as innovative Hispanic dishes. If you want to learn how to cook Hispanic cuisine, this is a great resource. I found this recipe a long time ago and have been waiting for the perfect time to make this recipe. All of the flavors in the flan are very subtle, yet complement each other very well. The recipe is fairly easy to make, though it does take a long time to cool and set. So if you make this recipe, make sure that you make it the night before. Also, this recipe is gluten-free-- just make sure that you check your ingredients! Another tip, the flan will not be fully set when you take it out of the oven but you want to make sure that it's not too jiggly or runny when you take it out because it won't completely set and will end up more like a soft custard or a pudding. So use your judgement. If it seems way too jiggly, leave it in for an extra five minutes and keep checking on it. Before I added the pumpkin, I tasted the flan and it actually tasted like egg nog! Somehow I want to see if I can get this recipe to work as an egg nog flan in the future; doesn't that sound delicious?! I hope you're enjoying Pumpkin Week! Check back tomorrow for another Pumpkin recipe! Preheat oven to 325 degrees F. Spray a bundt pan with cooking spray. Cook sugar in a saucepan over medium heat, stirring often, 5 to 7 minutes or until melted and medium-brown in color. Drizzle the sugar mixture into the bundt pan and then swizzle the sugar around so as to coat the bottom. Beat cream cheese at medium speed with an electric mixer in a large bowl for 1 minute. Reduce speed to low, and add eggs and egg yolks, and beat until well blended. Add all three milks slowly, beating at low speed for 1 minute. Add pumpkin puree and spices and continue to mix for 1 to 2 minutes. Mixture may be slightly lumpy. Pour mixture over the sugar into the bundt pan. Place cake pan in a roasting pan and add hot water halfway up sides of cake pan. Bake for 1 hour 20 minutes or until edges are set (the center will not be set-- but you don't want it to be too runny). Remove from oven; remove cake pan from water, and place on a wire rack and let cool completely for at least 1 hour. Then transfer to the refrigerator and chill for 4 hours or overnight.Run a knife around edges to loosen, and invert onto a serving platter. Note: The flan will continue to set as it cools and will set completely when it is chilled; however, you don't want the flan to be too runny when you take it out of the oven, so use your judgement. Not completely set, but not too runny either. This flan looks delicious, love that pumpkin flavor! This sounds so amazing!! I love flan, but I've never had a pumpkin flavored one. Definitely something I need to try! I have always wanted to make a flan, ever since Monica made a birthday flan for Rachel on friends! Girl, this is a beautiful flan!!! I just went through all of your pumpkin recipes and they all look absolutely delicious, but the flan has me drooling for sure. Bobby and I both are flan fans, so this could easily be gracing our table very soon. Thanks for such a lovely recipe! Made this for our Thanksgiving dessert and it was a huge hit! 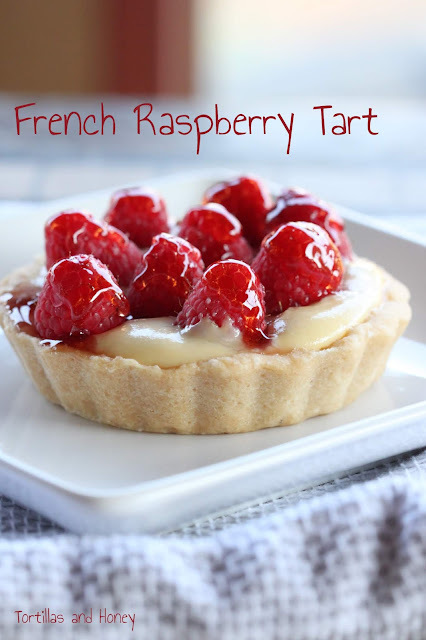 Light, creamy and so yummy!